Here are 7 clips from the movie "Charlie St. 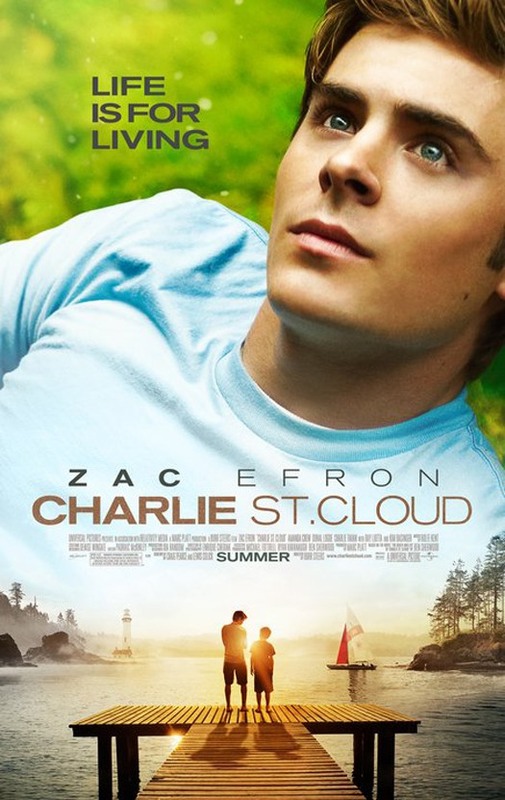 Cloud"
(1) Charlie (Zac Efron) teaches Sam (Chris Massoglia) how to hold a baseball. , (2) Sam (Chris Massoglia) reminds Charlie (Zac Efron) of the deal that they made. , (3) Charlie (Zac Efron) and Tess (Amanda Crew) talk about boats on the dock. , (4) Sam (Chris Massoglio) gets angry at Charlie (Zac Efron) while playing catch. , (5) Charlie (Zac Efron) kisses Tess (Amanda Crew) as she tries to explain her route. , (6) Charlie (Zac Efron) tells Tess (Amanda Crew) that he will not let go of Sam. Charlie (Zac Efron) recites some poetry to Tess (Amanda Crew) to encourage her to take a chance. Here are the trailers for "Charlie St. Cloud"